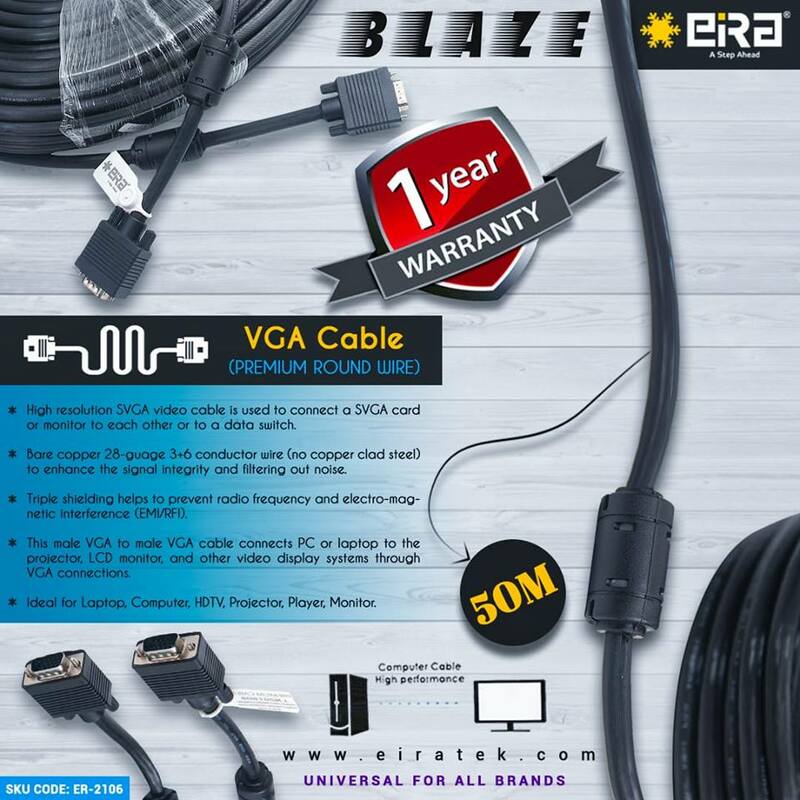 High resolution SVGA video cable is used to connect a SVGA card or monitor to each other or to a data switch. 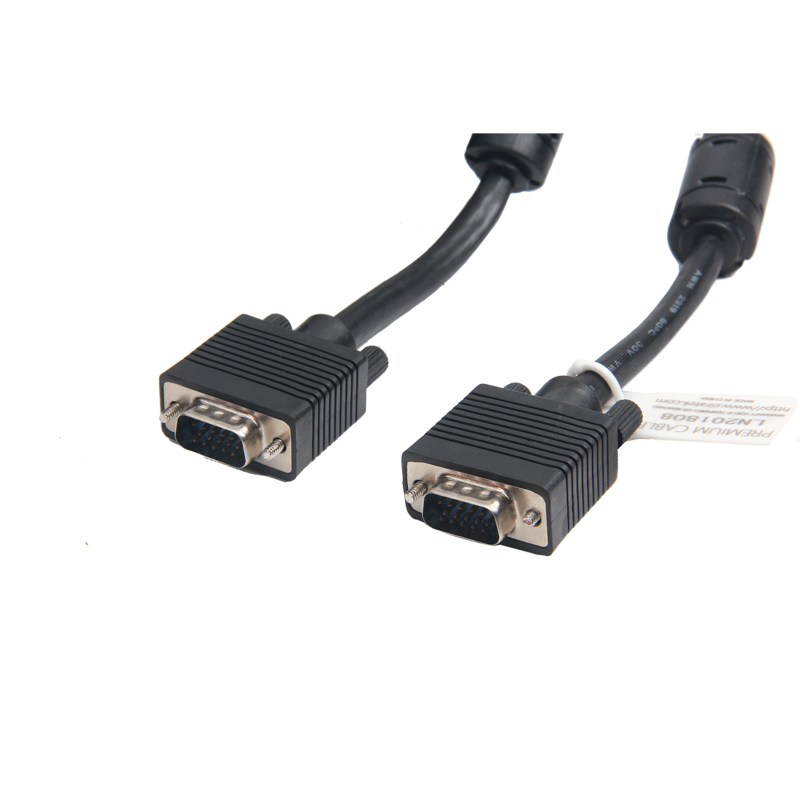 Both ends are a high-density 3-row male 14-pin D-sub nickel-plated connector with thumbscrew providing a high quality secure VGA connection. 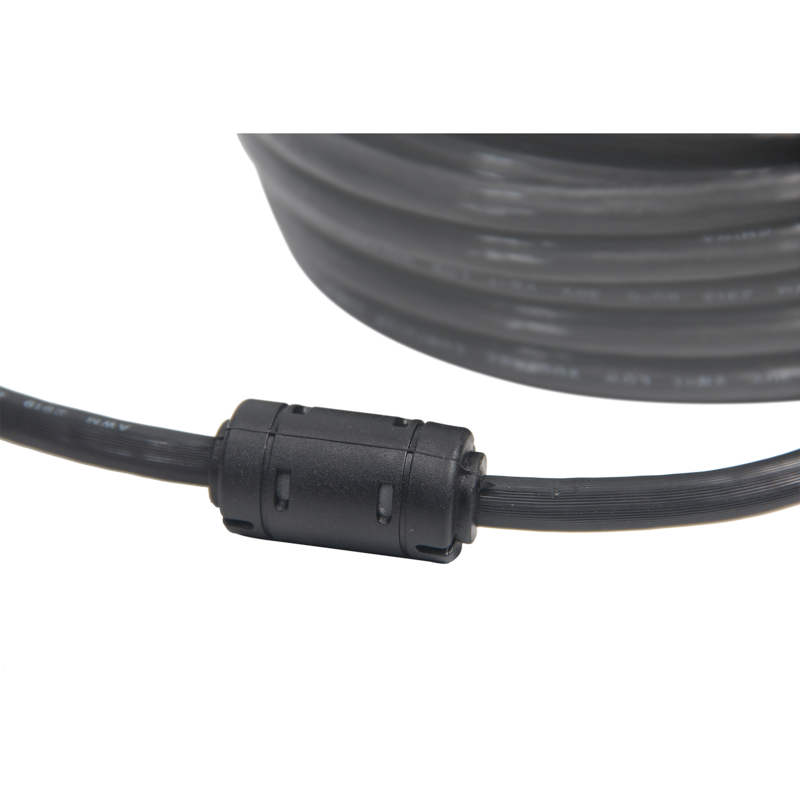 Bare copper 28-guage 3+6 conductor wire (no copper clad steel) to enhance the signal integrity and filtering out noise. 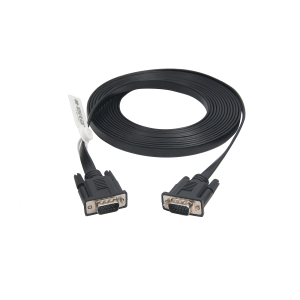 Triple shielding helps to prevent radio frequency and electro-magnetic interference (EMI/RFI). 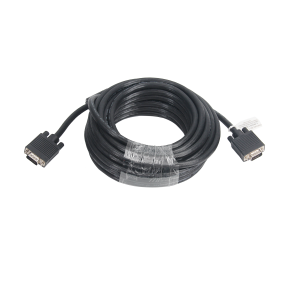 Outer PVC Layer increases durability and protects interference from other electronic signals, keeping picture clear and stable without any distortion. 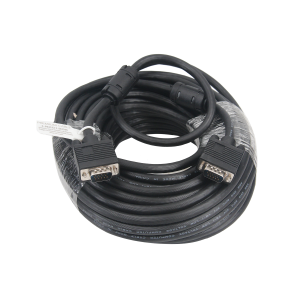 This male VGA to male VGA cable connects PC or laptop to the projector, LCD monitor, and other video display systems through VGA connections. 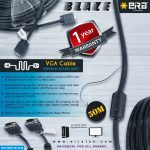 Ideal for Laptop, Computer, HDTV, Projector, Player, Monitor.